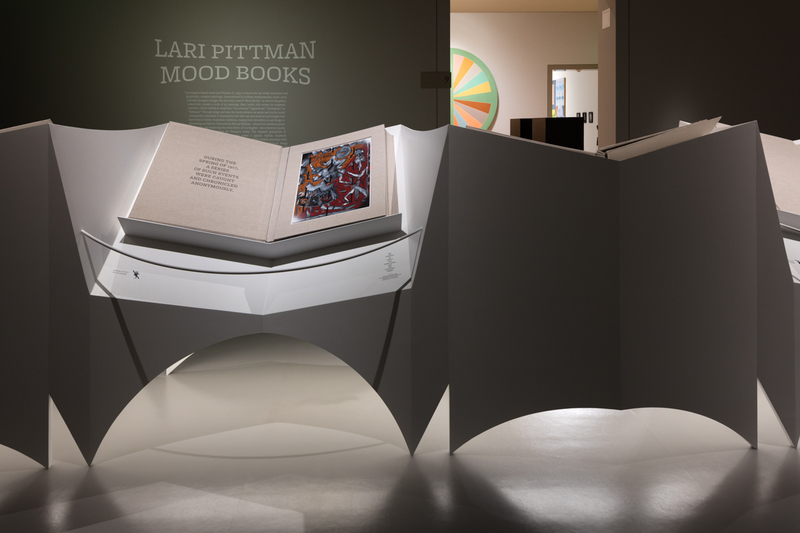 The exhibition, Lari Pittman: Mood Books, with works by artist Lari Pittman and exhibition design by Michael Maltzan Architecture (MMA), is currently on view at the Huntington Library and Botanical Gardens in San Marino, California. 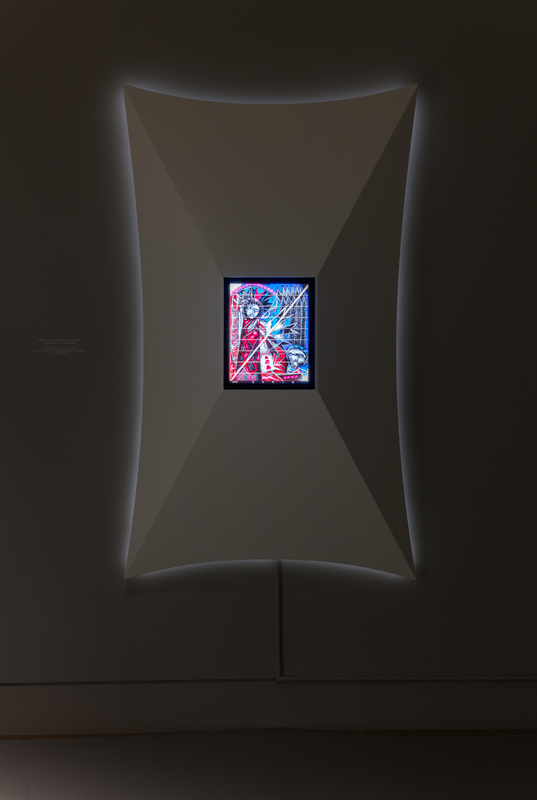 Pittman is a Los Angeles—based visual artist who makes large-scale paintings that combine surrealism, geometric shapes, and narrative association with vivid color. 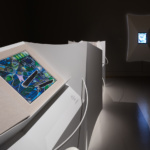 The artist’s paintings vary widely in terms of size and scale and alternate between collections of single and multiple works. 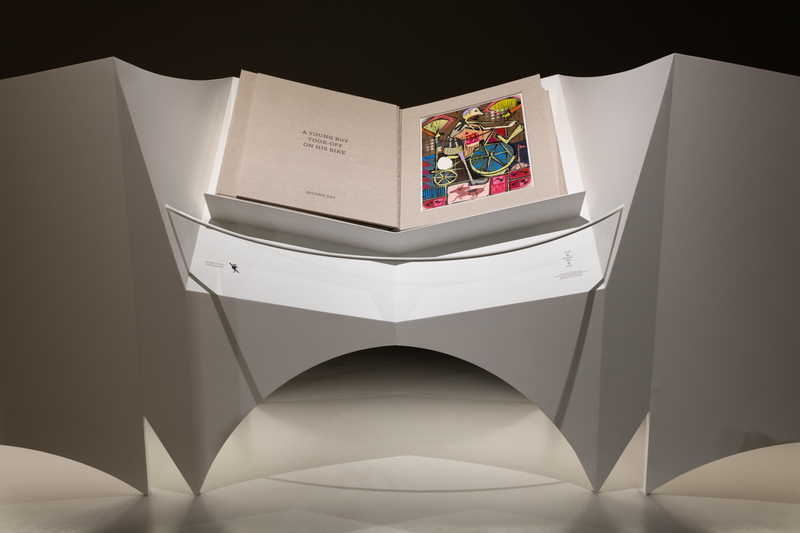 The exhibition on view features a collection of Pittman’s smaller recent works: six art-books containing a bound collection of 65 paintings by the artist, with the books resting on large pedestals designed by MMA. 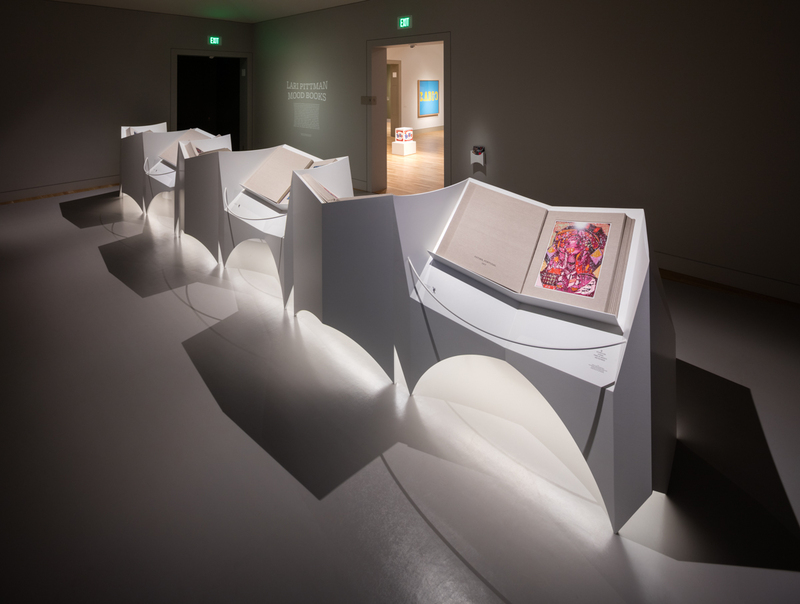 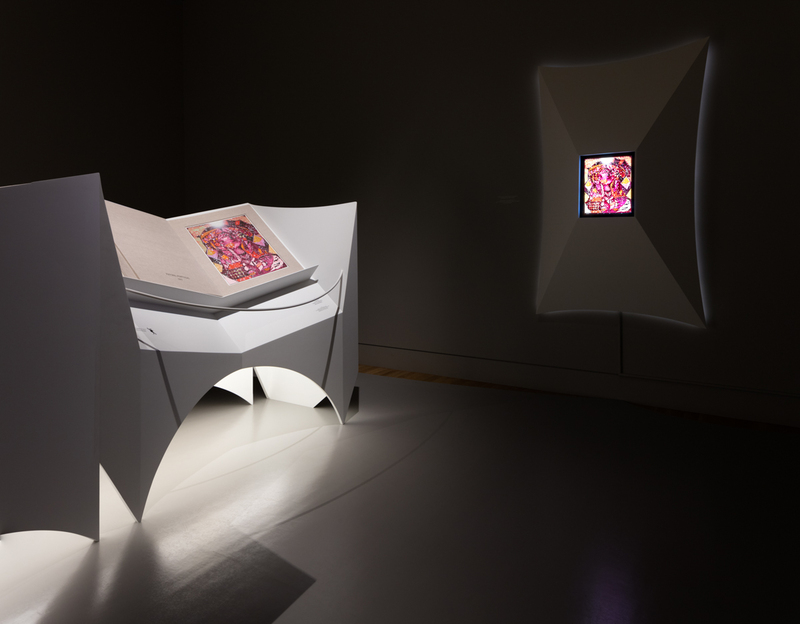 The tomes, styled in the manner of psychedelia-inspired illuminated manuscripts, are located in a dark, ancillary gallery and are removed from the museum’s permanent collection. 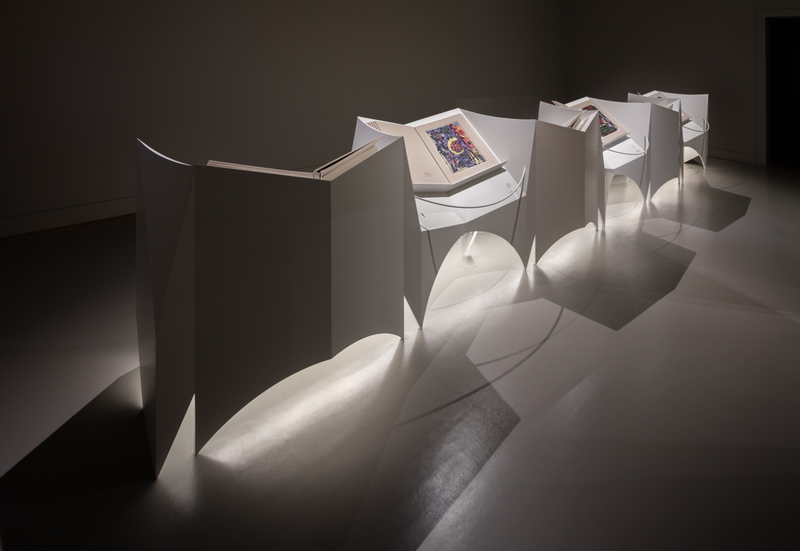 Within that space, the books and their respective pedestals are organized in a straight line, with books open for viewing along alternating sides of the heavily articulated, painted plywood arrangement. 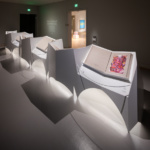 MMA’s designs for the pedestals are articulated as stark-white, billowing forms, rendered in sumptuous planes with surface qualities halfway between those sheets of a paper and billowing drapery. 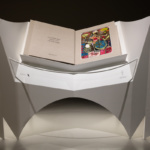 Each pedestal is supported by four diminutive legs, where the form of each supported volume swoops down to touch the floor. 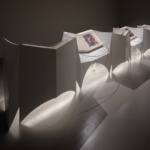 Like sliced up milk cartons, the pedestals unfold and bend backward, connecting with adjacent pedestals to create one monolithic object. 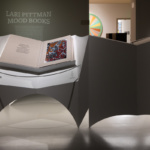 A light-gauge curved rod spans between the open section of each pedestal along the viewing edge, guarding Pittman’s works. 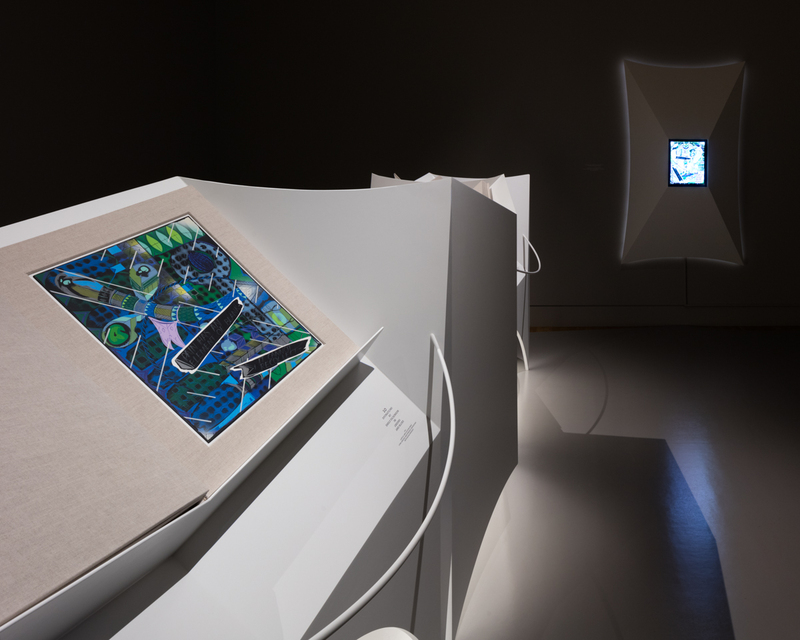 A wall-based work on a touchscreen hangs, off in a the corner of the room, the small painting illuminated and pushed out from the wall by an exaggerated, extruded picture frame. 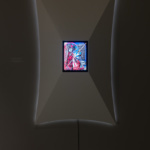 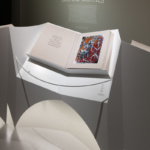 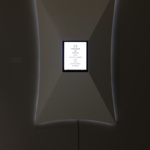 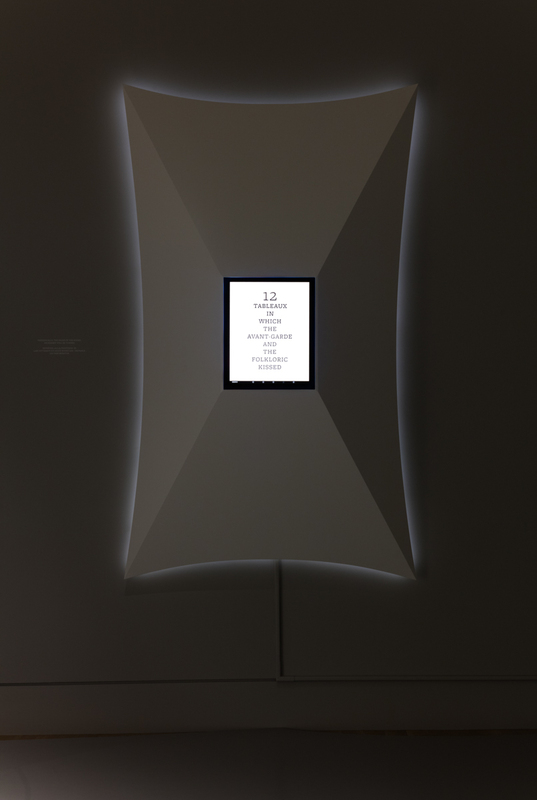 The pages of each book will be turned throughout the course of the exhibition and all the sheets are accessible via the touch screen component. 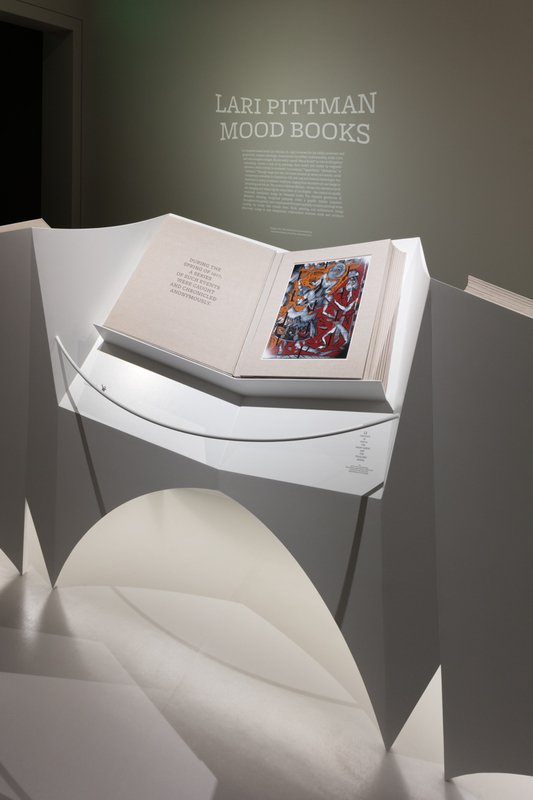 For more information on Mood Books, visit the Huntington Library website.